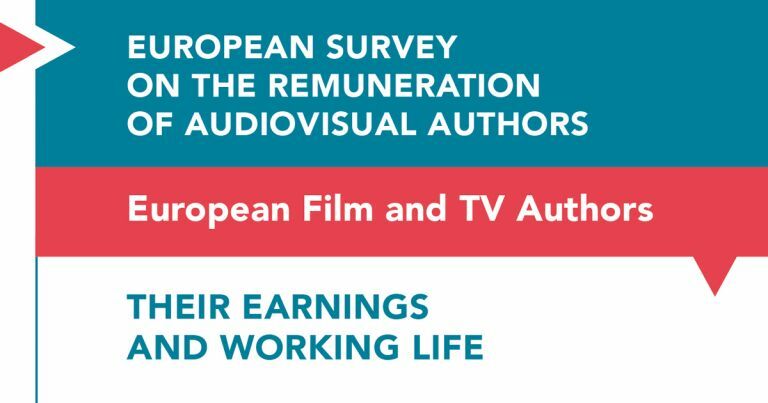 The final results of a survey on European audiovisual authors’ remuneration demonstrate the urgent need for action to improve their situation. As the European Parliament is about to vote on the Directive for Copyright in the Digital Single Market which features essential provisions to improve authors’ remuneration, FERA, FSE and SAA urge MEPs to adopt it without amendment and further delay. This comprehensive, Europe-wide survey reveals some shocking findings about pay levels, unstable incomes, unpaid work, job insecurity, and a significant gender gap between men and women. In 2016, the median earnings of a European director or screenwriter from their work as an audiovisual author is about 19 000 EUR after tax. Women authors earn significantly less than men. They do a substantial amount of unpaid work. Secondary payments for the exploitation of their works, in particular online, are irregular and not harmonized at EU-level. They have weak bargaining power in contract negotiations. More details are available in the final results' full report and summary below. Since 2015, our organisations have been advocating for fairer terms for audiovisual authors in the European copyright legislation reform: authors’ creative work is at the origin of the Cultural and Creative Industries value chain, yet their income is low and they have difficulties maintaining a sustainable career. The debate on this proposal for a Directive has been long and difficult. Yet Chapter 3 of the proposed Directive on fair remuneration for authors and performers was strengthened during interinstitutional negotiations, and now presents an important improvement of EU legislation that provides essential tools to rebalance this situation. It sets out a general principle of proportionate remuneration allowing for authors to share in the economic success of their work, and unwaivable provisions strengthening authors’ bargaining power in negotiating contracts which could be implemented collectively. The Directive is today based on a balance between its different provisions, which cannot be separated. Those who want to introduce amendments, in particular to Article 13, or want to vote against the Directive would take the responsibility and risk of destroying a major breakthrough for European creators, as it is the first time that the European Union proposes a coherent plan to benefit authors, in particular in the audiovisual sector. At a time of rapid change in the European audiovisual industry, new modes of exploitation of our work are impacting the whole value chain and put our community under increased pressure when negotiating authors’ rights. This Directive would empower our community to get fairer economic value from our work and our rights. FERA, FSE and SAA therefore call on Members of the European Parliament to support Europe’s authors by voting for the Copyright Directive. It is an important first step to ensure European audiovisual authors’ fair and proportionate remuneration. Without it, there can be no sustainable future for European audiovisual creation. Press: Pauline Durand-Vialle, pdv@filmdirectors.eu +32 491 52 49 04. Press: Cécile Despringre, c.despringre@saa-authors.eu +32 475 65 24 99.